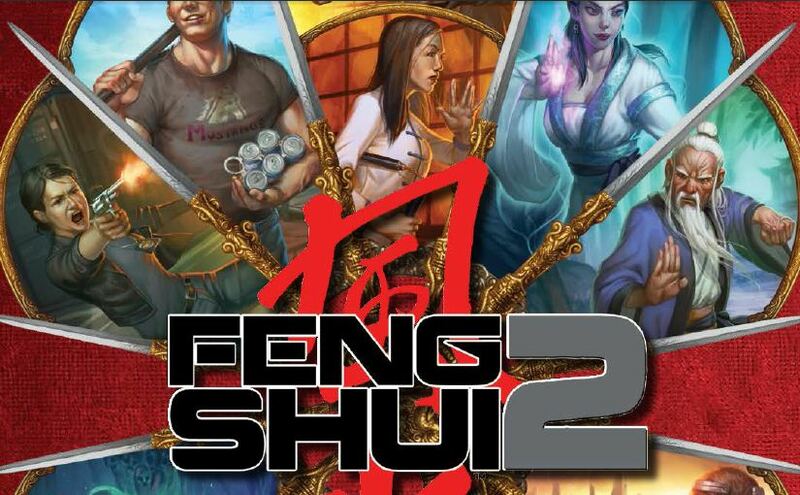 Last week we got in on some Feng Shui 2 action and it was pretty good. 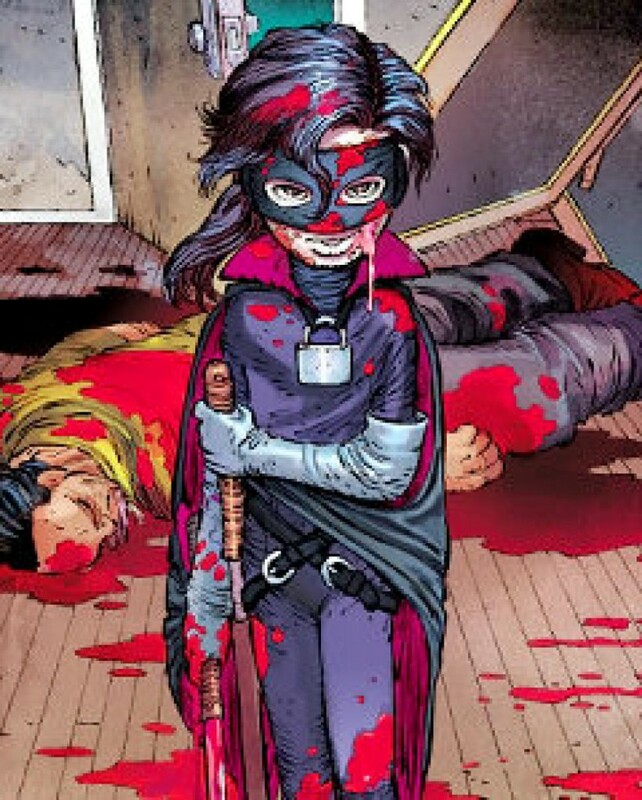 Our heroes included a Killer, an Average Joe (aptly named John D.), a Private Eye, a Scrappy Kid (inadvertent Hit-Girl clone named XBat) and a Driver who had amnesia. After everyone picked their archetype and wrote their melodramtic hook, it was off to the races. The characters were all on a drunk bus headed back to the JW Marriot in Hong Kong when the driver took a detour to a warehouse where other buses of people were being unloaded onto bigger buses by Triads with lots of guns. The Killer wasn’t having that, and the bloodbath ensued. The fight involved the Killer and Driver characters destroying dozens of mooks between them, while the other characters took down a gaggle of named bad guys, mostly hired guns by the Triad. Needless to say, the rest of the passengers didn’t fare too well, most being blown away in the crossfire. One of the bad guys cheesed it (who would reappear later). Most of the characters were unscathed, but the Killer took quite a few bullets and wasn’t in the best of shape coming out of it. Between sessions characters heal up 100%, but between fights, characters have the option to drop their Toughness by 1 to reduce their wound level by 10. Since our Killer had a death wish as his hook, he wasn’t having that either. After the first fight, the characters found out where the large buses were going and faked their way in to a railway depot where the people on buses were loaded on to train cars! This did not make them happy. The Killer went into what looked like an office to talk to the head guys and faked his way pretty well until the bad guy that cheesed it before showed up and blew his cover. Luckily the Driver was able to bust into the depot with another Mook-destroying car. This fight was a bit more serious, with mooks constantly showing up and another gaggle of named characters– plus one really pissed off sorcerer! The sorcerer blew the Killer away and he failed his first up check. Next the Everyday hero went down in a hail of bullets. The Private Eye, Scrappy Kid and Driver avenged them by downing the sorcerer before she could cheese it out of there as well as destroying the rest of the named characters. Without the Killer though, the swarms of mooks presented a problem. As the Everyday Hero and Killer passed into the afterlife (both failing death checks) the remaining characters noticed that while they were destroying the sorcerer and her goons, the rail cars had gotten away! What will happen next? Feng Shui 2 cleans up a lot of the dreck from Feng Shui 1, dreck players didn’t even notice when we last played in 1997, but yeah, it was there. Before we played, I found a folder with all the old characters and thought: “oh I’ll convert these!” but there was no need, the only thing you need is a name and a melodramatic hook and the archtype is good to go. While there’s a lot less ticky tacky stuff to the characters, and this simplicity makes the game even more playable, they did add a new DEFENSE statistic that splits how good a character is at HITTING from how good they are at not BEING HIT. This was an issue in Feng Shui 1 where the AV was ALL THINGS and it got pretty boring when pretty much everything was one stat (we didn’t play long enough back in the day to figure this out though). Certain characters hit really hard sometimes, but can’t dodge attacks well and others, like the aforementioned Scrappy Kid, can’t dish a lot of damage but rarely get hit. While there aren’t a lot of stats to differentiate characters, FS2 has archtypes that all feel very different from each other. There are quite a few ‘GUNS’ characters and in this session we had three– the Driver, the Killer and the Private Eye, yet none of them felt samey. Each of them had different stuff they did in fights and felt different to the players I’m sure. That said, characters in this version have nearly zero options when they select an archtype and I see this as a good thing, while your 4E and Pathfinder players may not. Get started quick, invest little and get some cool tricks if your character survives. There are a few archtype options though, and it’s also possible with some of the archtypes to rework them nearly completely if you are an experienced player, especially the martial artist and supernatural creature types. Fundamentally though you don’t want to waste time on that type of jiggering until after the characters have made it through a few sessions at least. Lastly, and I’ll post more when we have another session, is how much I liked the Up-check /Mark of Death system. Basically characters have to test if you can keep going when you hit a certain number of wounds. If you pass the check you can voluntarily bow out with only one ‘mark of death’, or keep going, possibly having to take more checks. With each up-check you have to take, you have to take a death check at the end of the fight with a better chance of your character taking the dirt nap the more marks of death you got. We had two characters get smoked this session, which I think is a bit of a rarity, but since the villains they were facing were out to kill (and let’s face it, what Hong Kong style villain isn’t?) and both characters took tons of bullets into their bodies, it was likely inevitable at least one would go down. Having a boss-level villain in one of the fights was also a key contributor.